High-quality content needs to be shared, that’s why distribution is as important as the content creation phase. If you aim to increase your content’s organic search, don’t hesitate to publish on LinkedIn. Its billions of users are seeking for high-quality content shared by companies and other professionals. Good news is that posting your articles on LinkedIn is easier than ever. 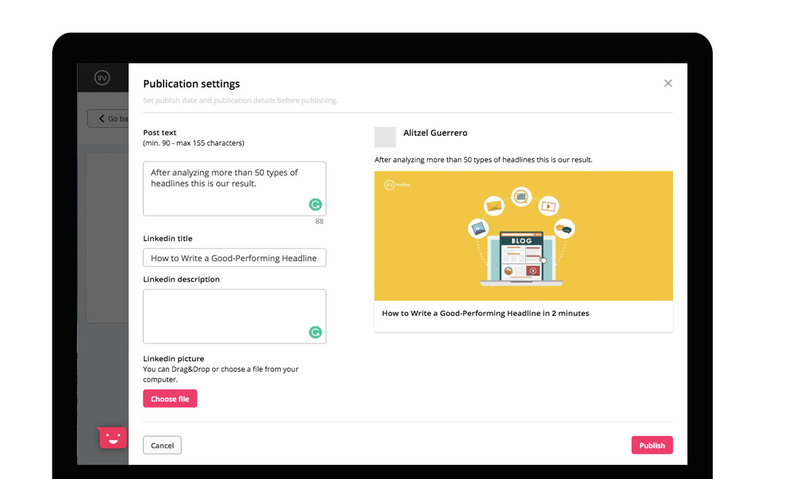 We've designed the Creator Engine, a platform to distribute your blog’s articles in just a few clicks. Just connect your LinkedIn profile to our platform. The Creator Engine offers a preview to check your future posts and enables to use Grammarly's extension. Since the distribution is the key to a good performing content we also integrated WordPress, Drupal, Facebook, Twitter, and Medium so you can boost your content's reach. All the distribution channels in just 1 place. Go to the Home Screen on the left sidebar and write a killer article. Publish from the Creator Engine by choosing your Linkedin profile as Secondary distribution channel at the distribution step. Keep an eye on the referral traffic to understand the impact of your article.